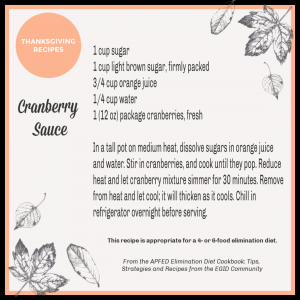 Food-focused holidays like Thanksgiving can be challenging for those on an elimination diet. 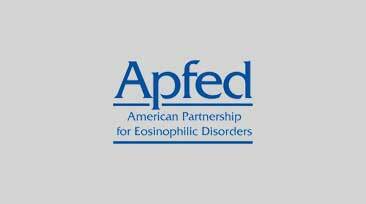 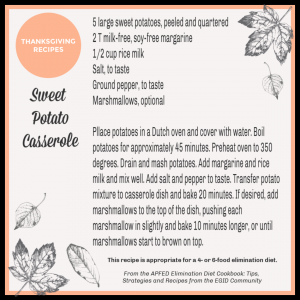 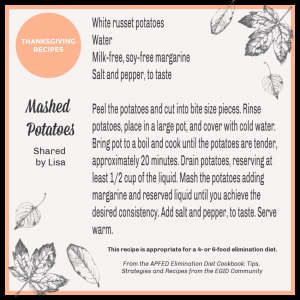 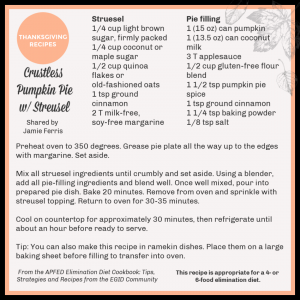 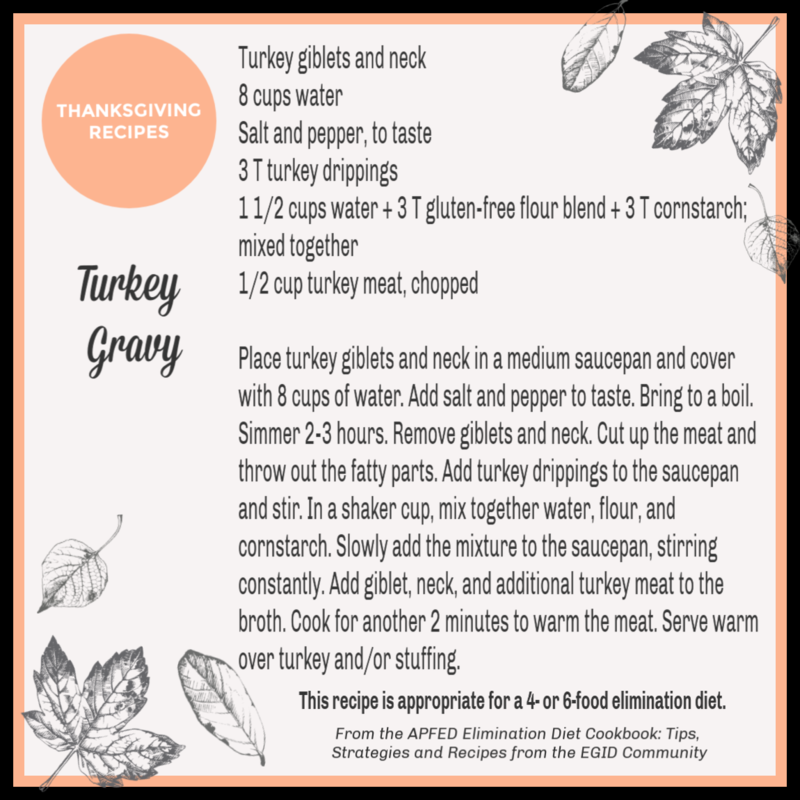 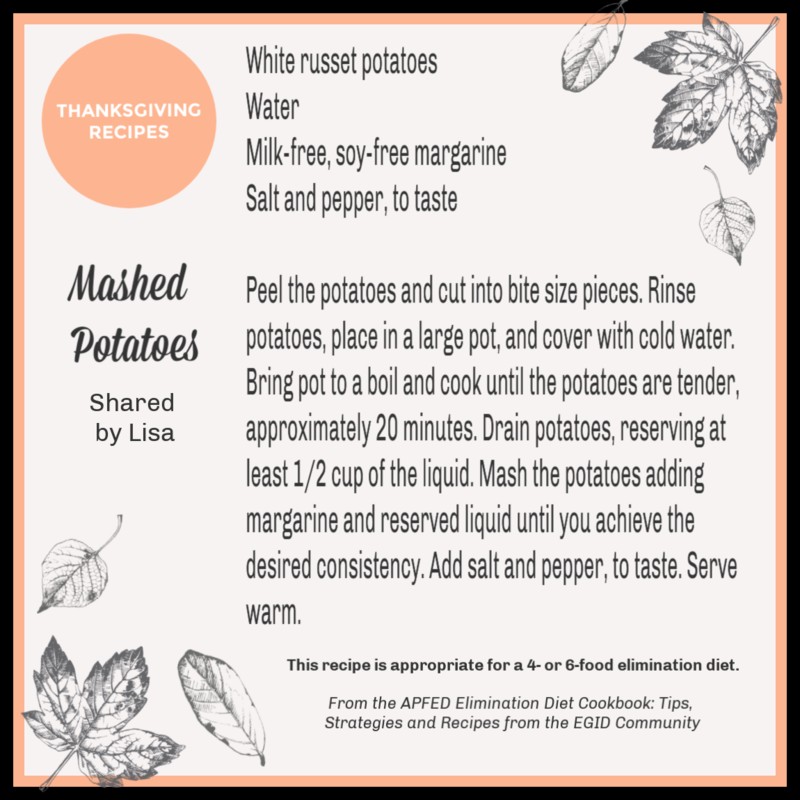 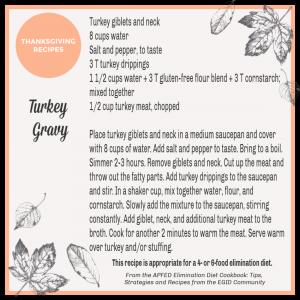 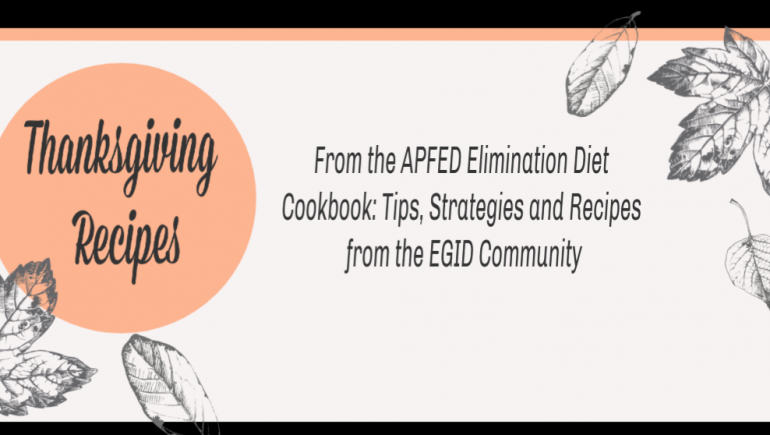 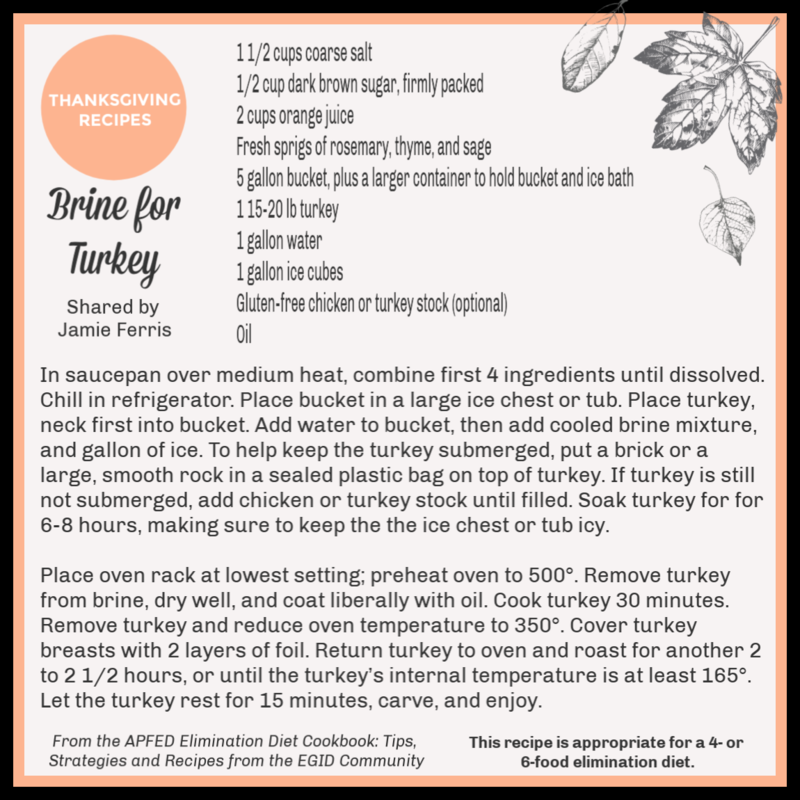 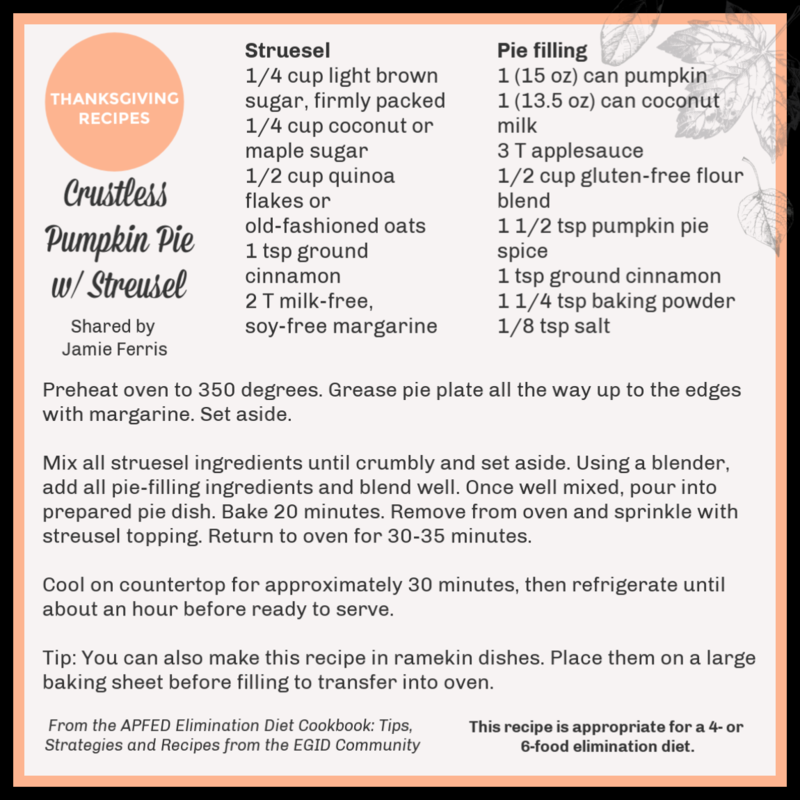 Leading up to the Thanksgiving, we’re sharing recipes from the APFED Elimination Diet Cookbook: Tips, Strategies, and Recipes from the EGID Community. 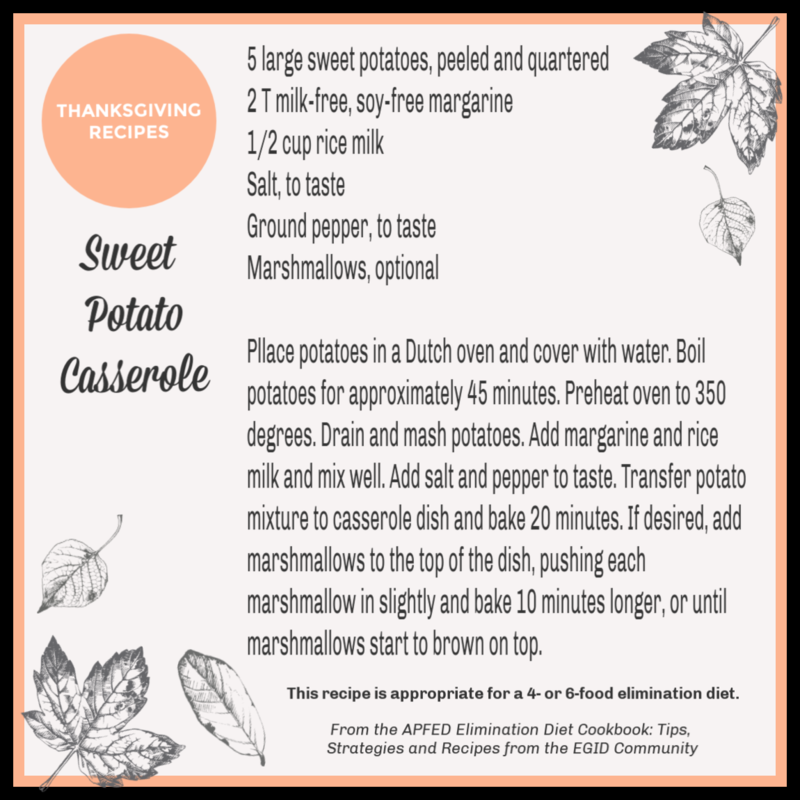 What are your go-to recipes for Thanksgiving on an elimination diet? 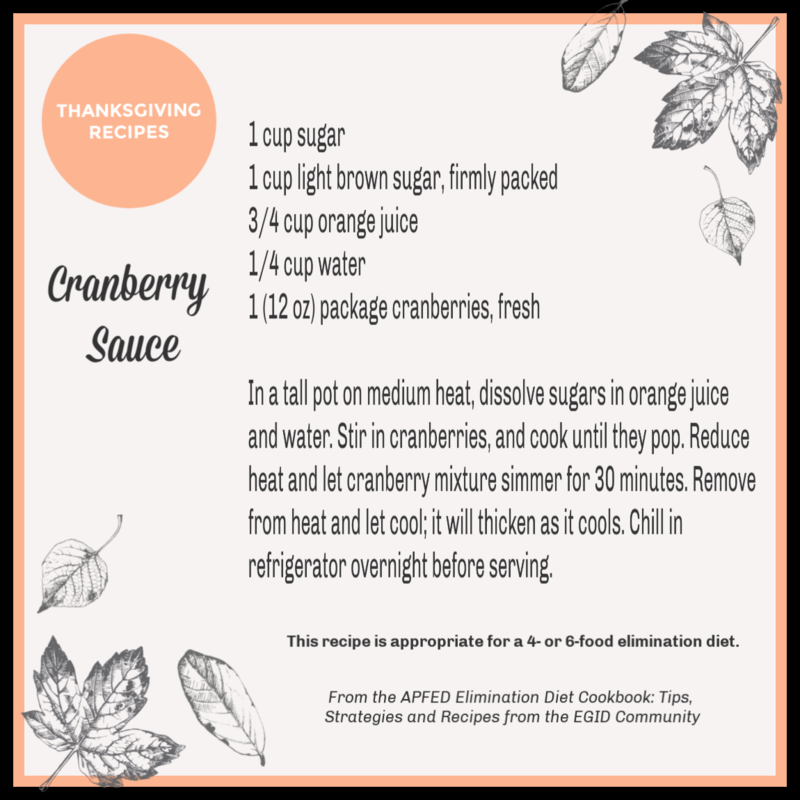 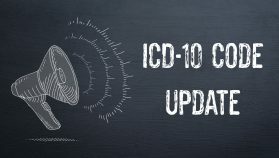 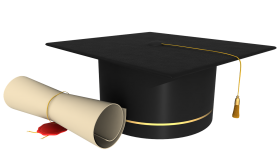 Please share with us on Facebook, Twitter or Instagram!